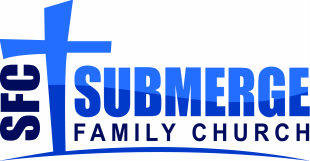 Thomas is the founding and lead pastor of Submerge Family Church. In addition to being a husband and father, Thomas is passionate about discipling people, developing leaders, and growing strong families. His focus is on leading people into an intimate relationship with God. He's a student of God's Word and pursuer of His Presence. Thomas was born and raised in Eunice, LA. He and his wife, Cindy, have been married for twenty eight years. Cindy is a nurse, small group leader, and extremely gifted by God with the gift of hospitality. They have four amazing children, Chris, Joshua, Zachary, and Chloe, who love serving others. Thomas worked in the oilfield for eighteen years. Together he and his wife owned and managed a local restaurant for eight years. They felt no peace or happiness in the world. They know what it's like to live apart from the presence and blessings of God. After giving their broken marriage over to Christ, things quickly began to change. Thomas was called into the ministry in 2006. He served as a leader in his local church. After leading many small group meetings, he felt led to start Submerge Ministries in 2012. He has been leading Submerge Family Church with fresh vision and passion ever since. His heart is to see lives transformed by the power of God. His passion is to help build strong marriages and healthy families in our community. Thomas and Cindy's vision for Submerge Ministries is to be a healing place for a hurting world, to see people raised up into spiritual maturity, and to see them walk in their divine destiny. They are passionate about connecting people to their unique purpose in life, and they are excited about building God's Church. They invite you to come as you are, leave different than you came, and ALWAYS expect the unexpected.